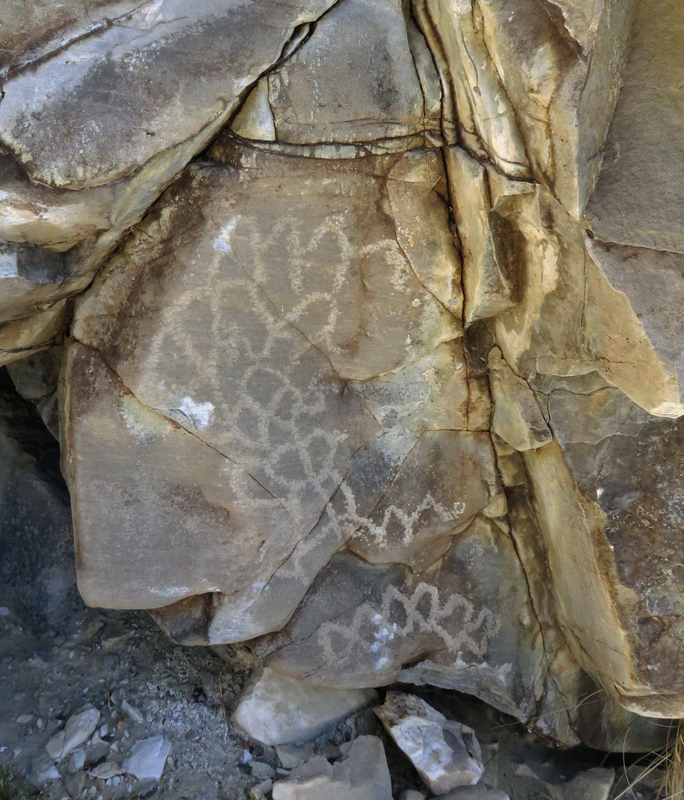 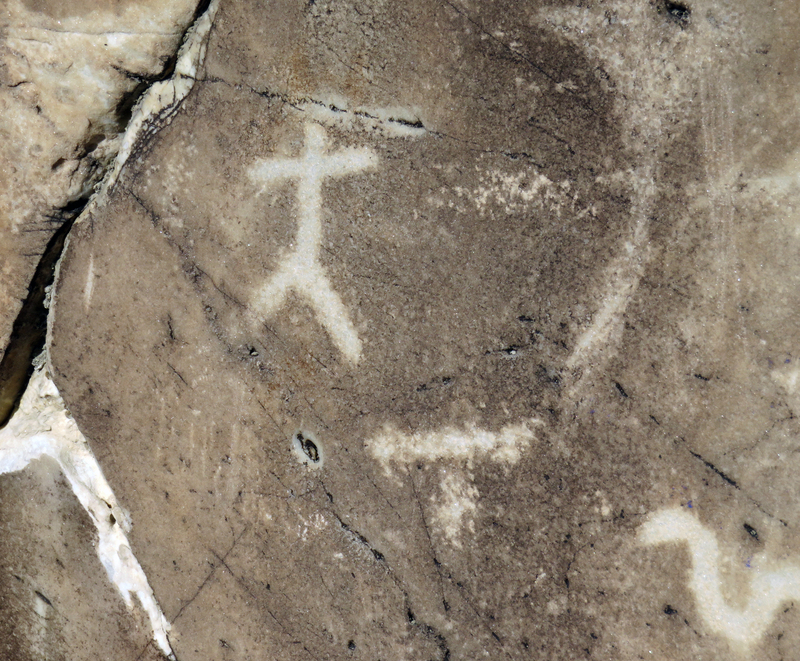 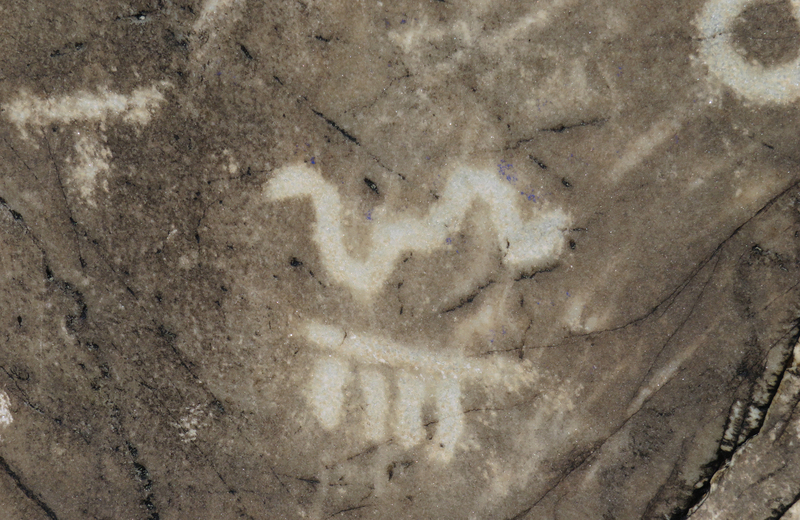 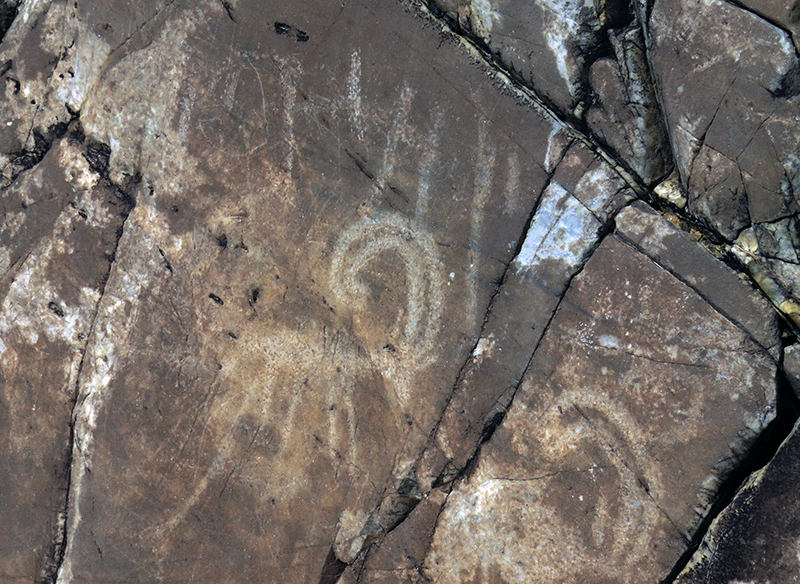 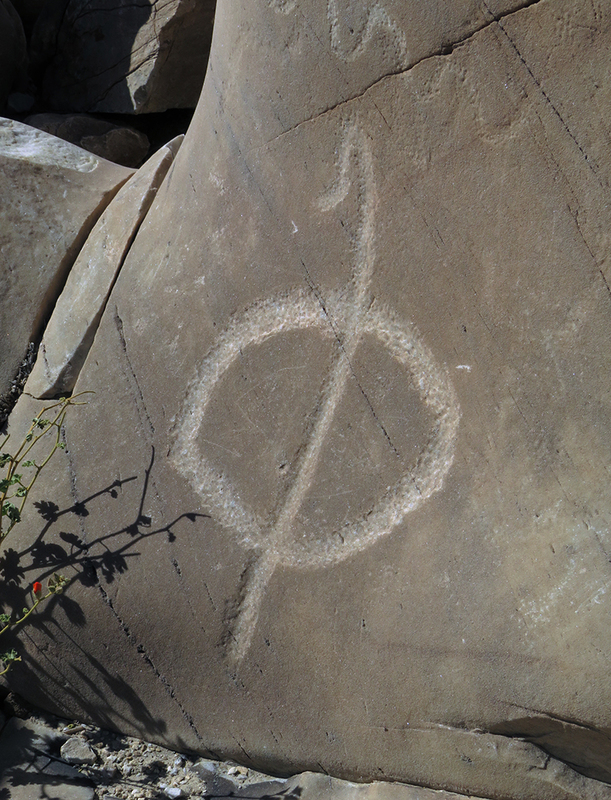 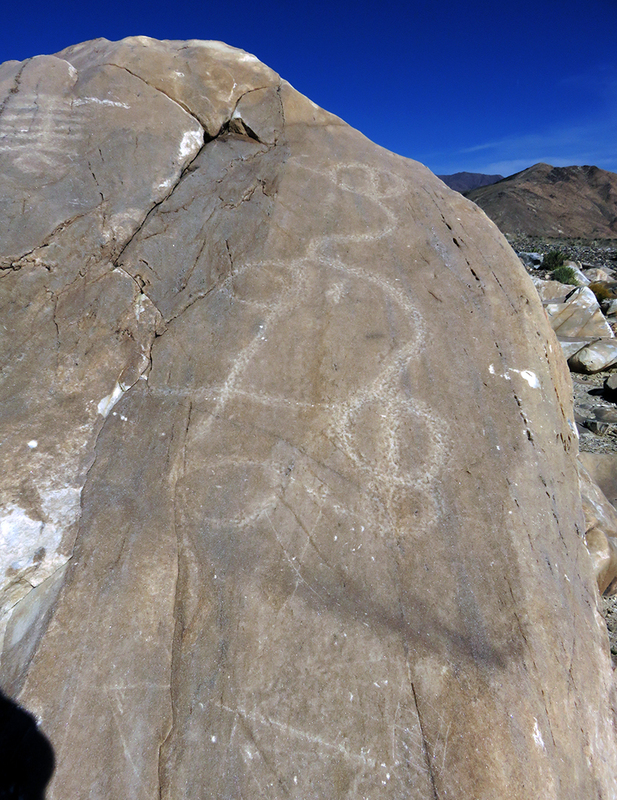 SCVHistory.com | Great Basin Cultures | CA-INY-272: Swansea Petroglyphs (Solar Observatory? 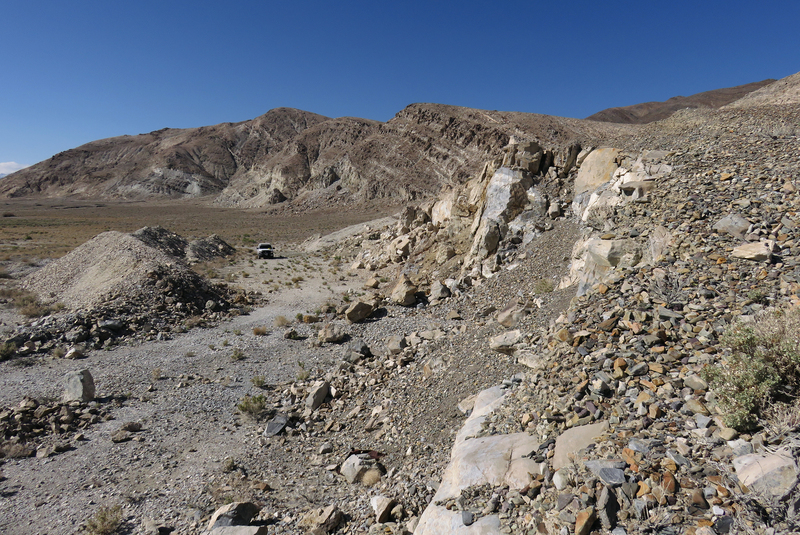 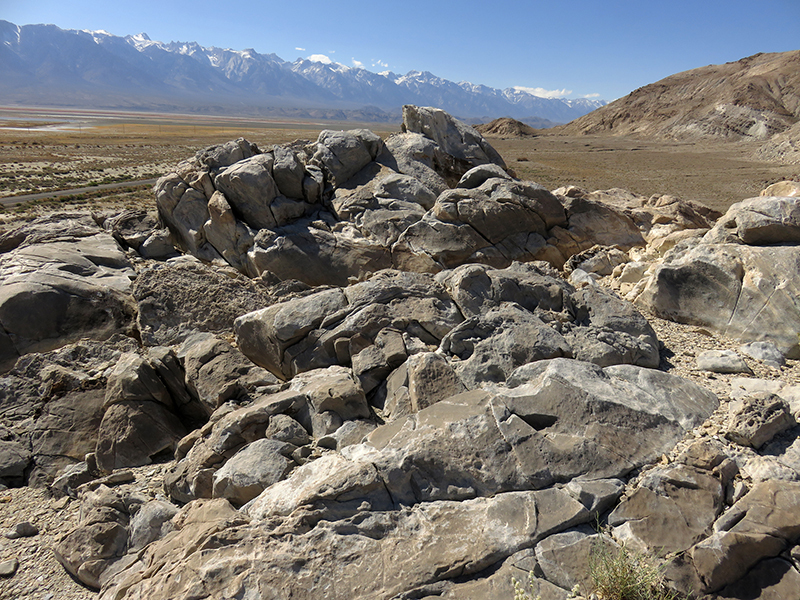 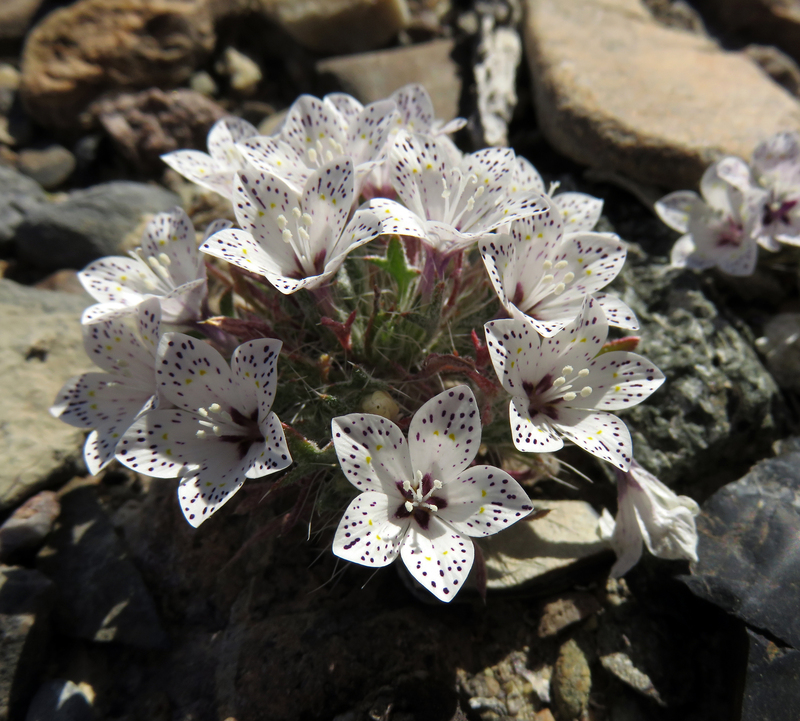 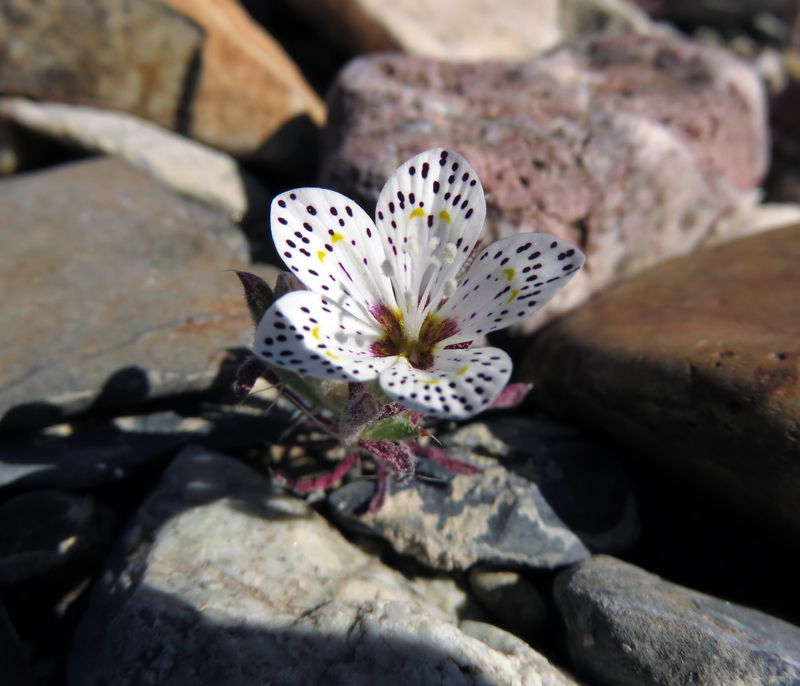 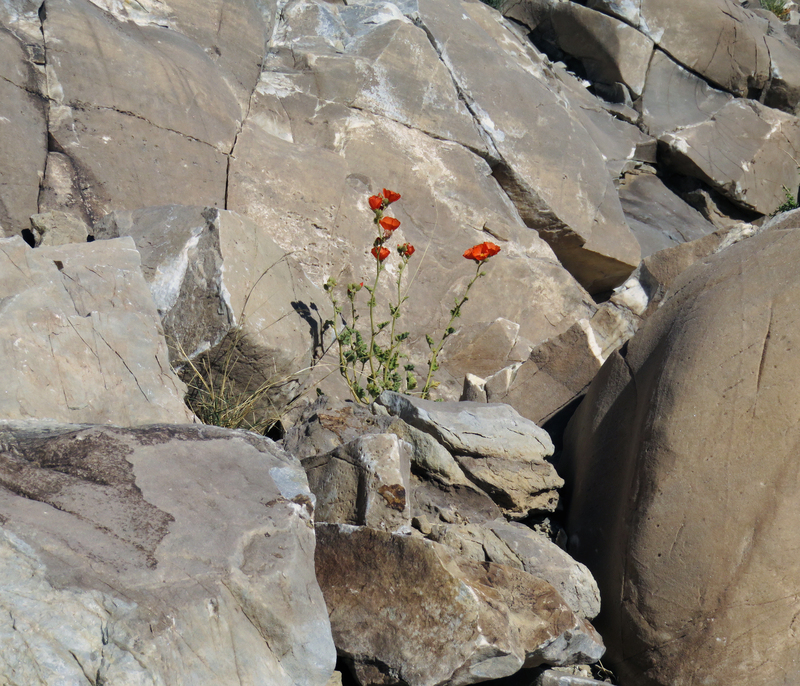 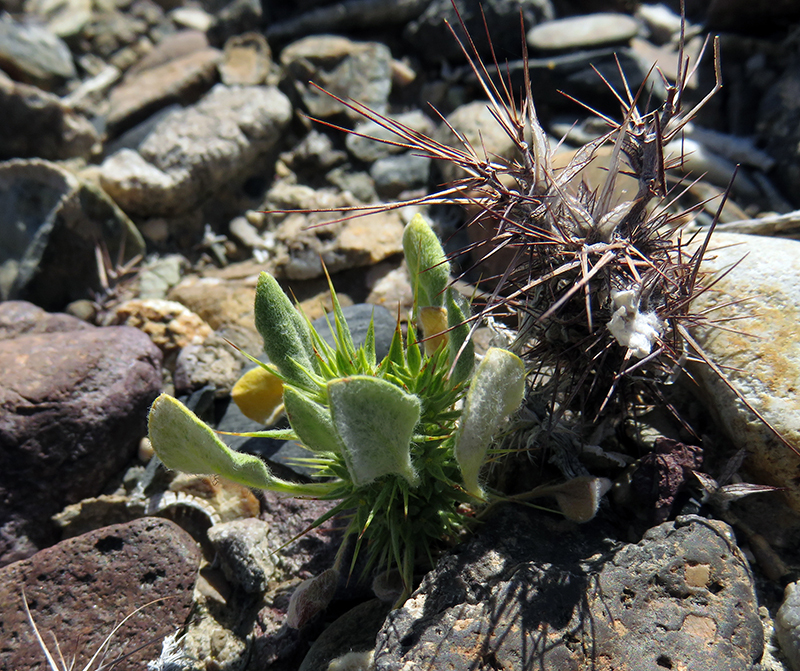 ), Owens Valley. 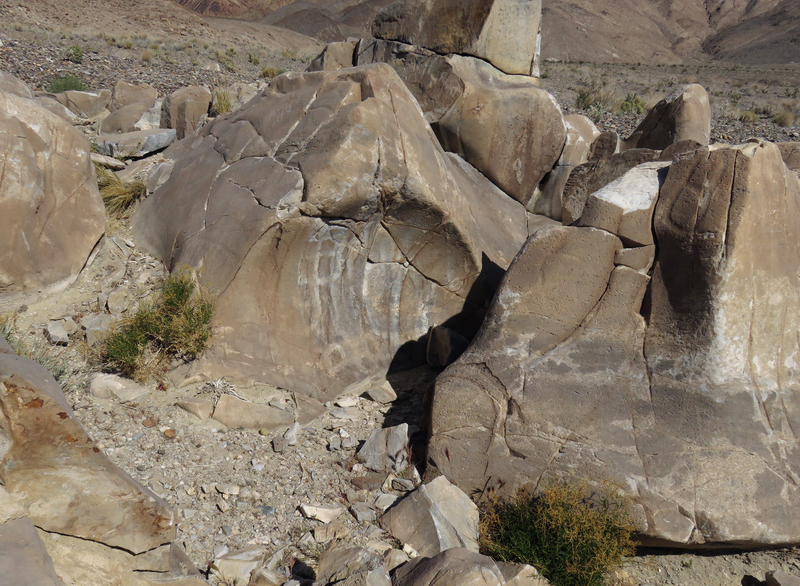 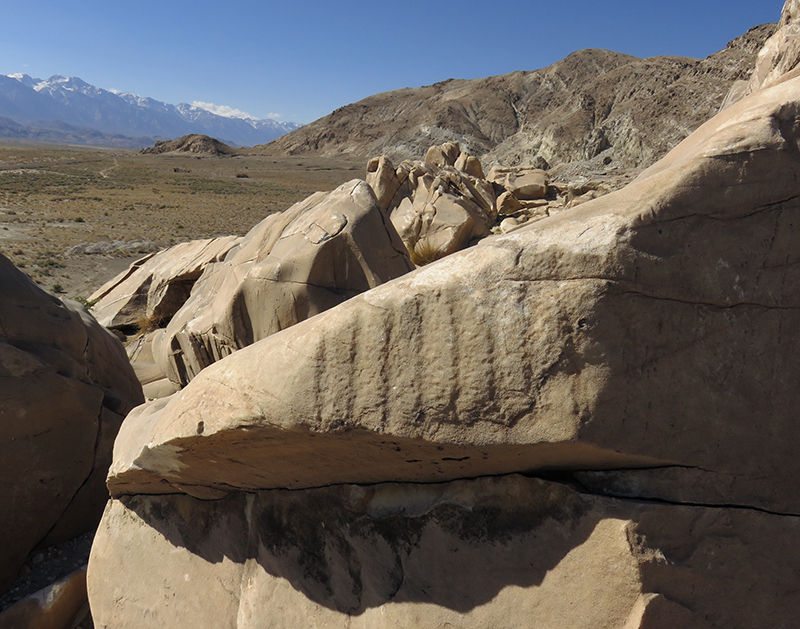 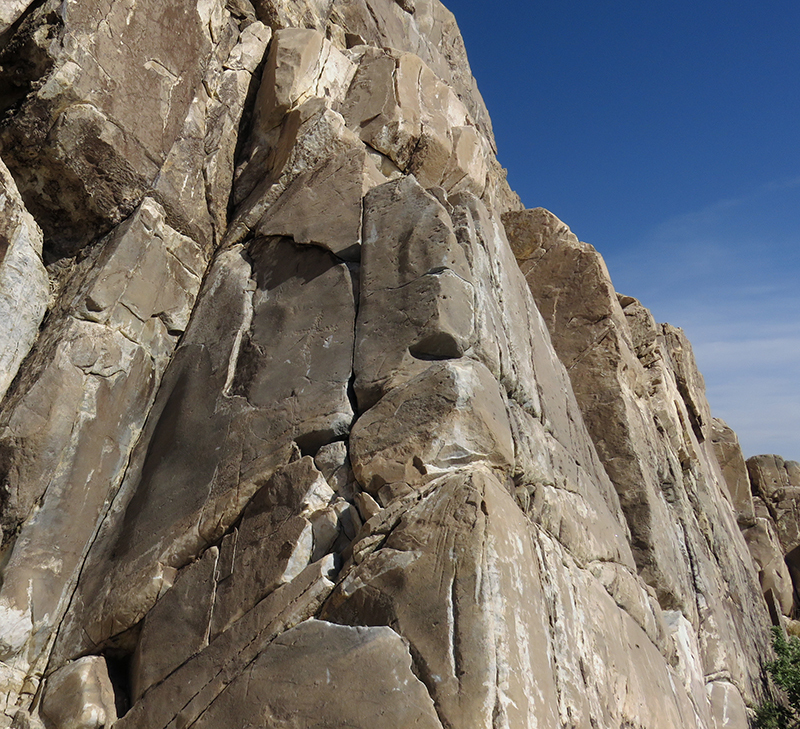 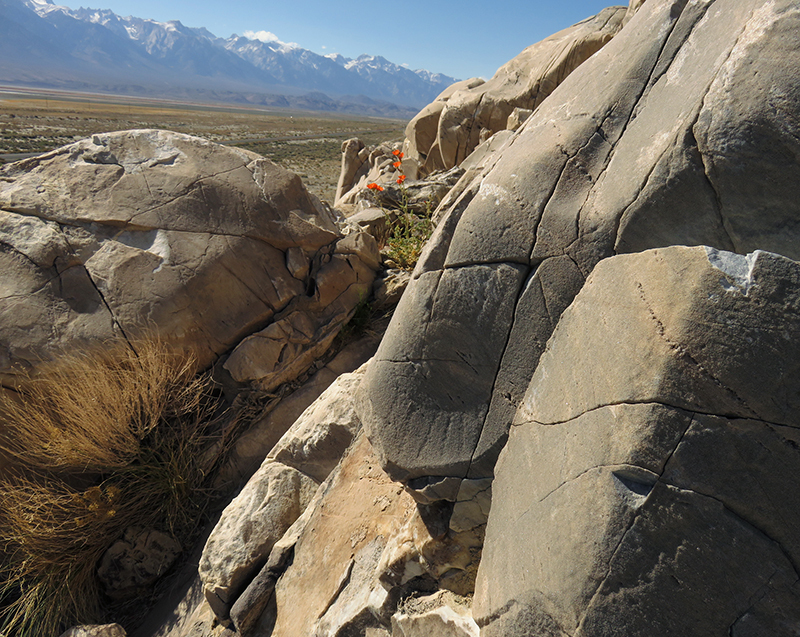 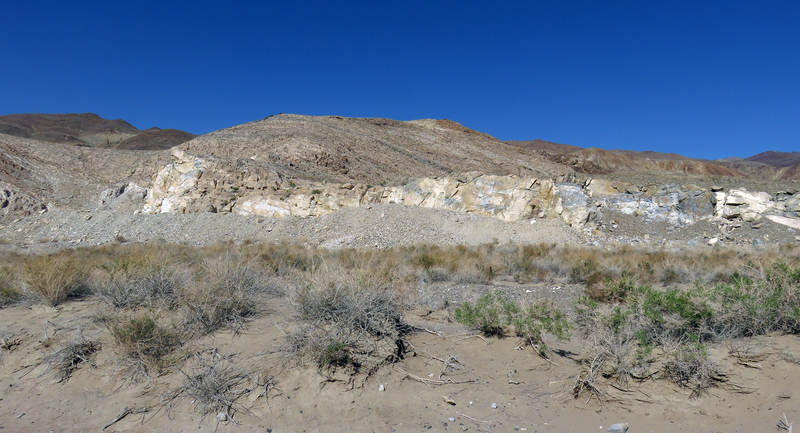 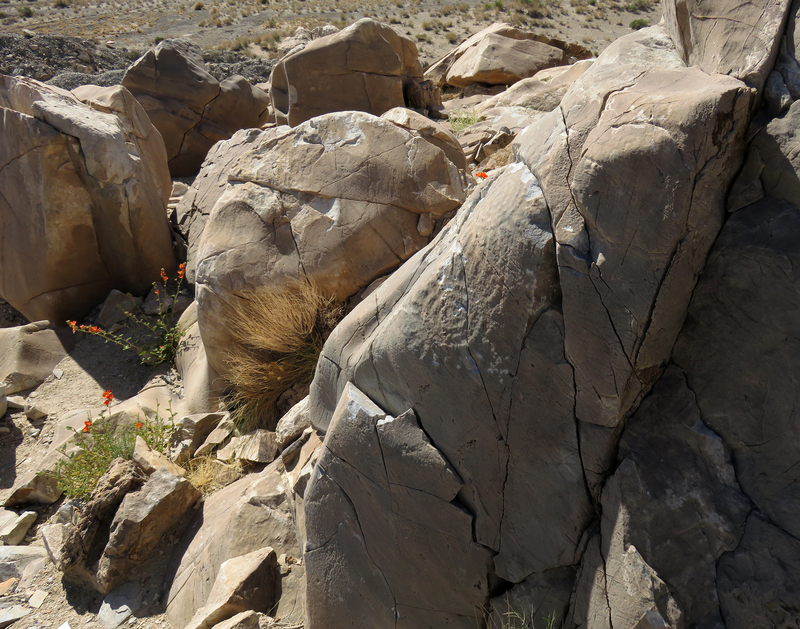 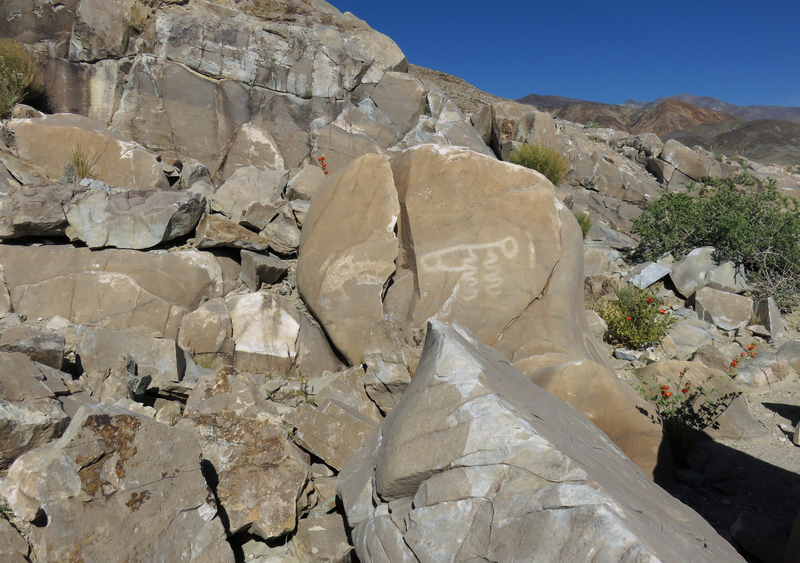 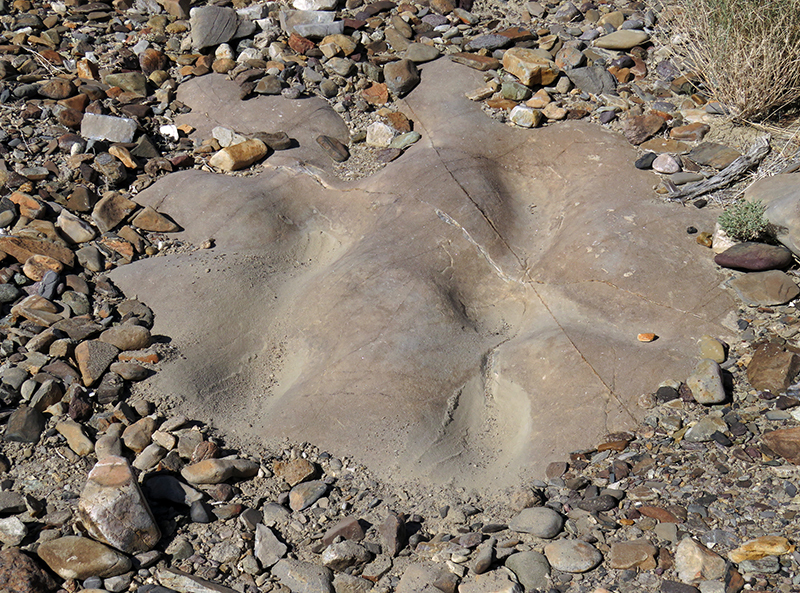 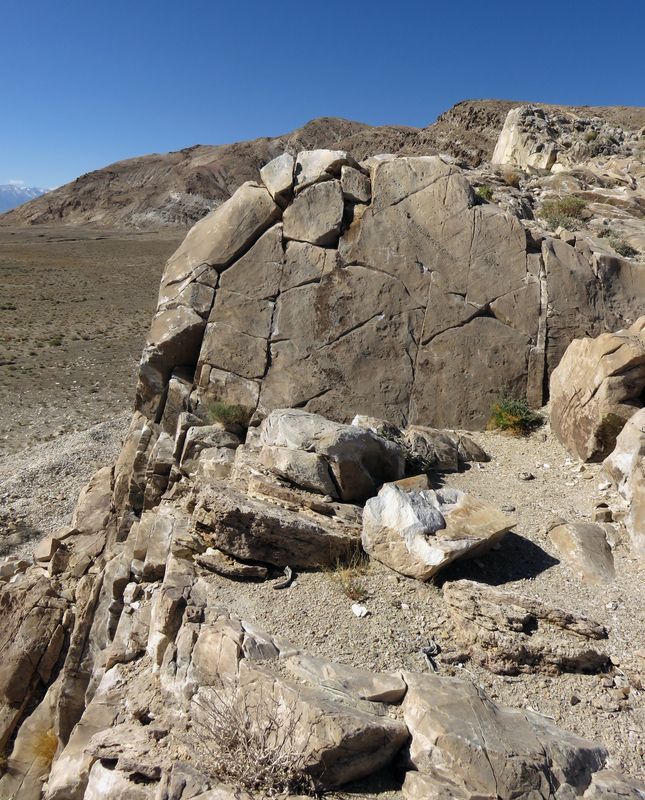 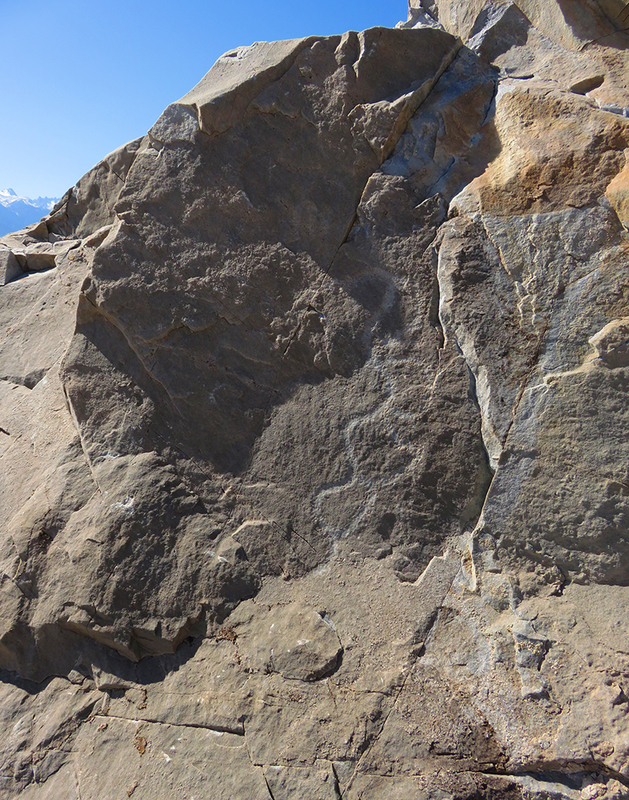 March 27, 2016 — The Swansea Petroglyphs (CA-INY-272) are located on a dolomite marble ridge just north of Swansea on the former eastern shore of Owens Lake. 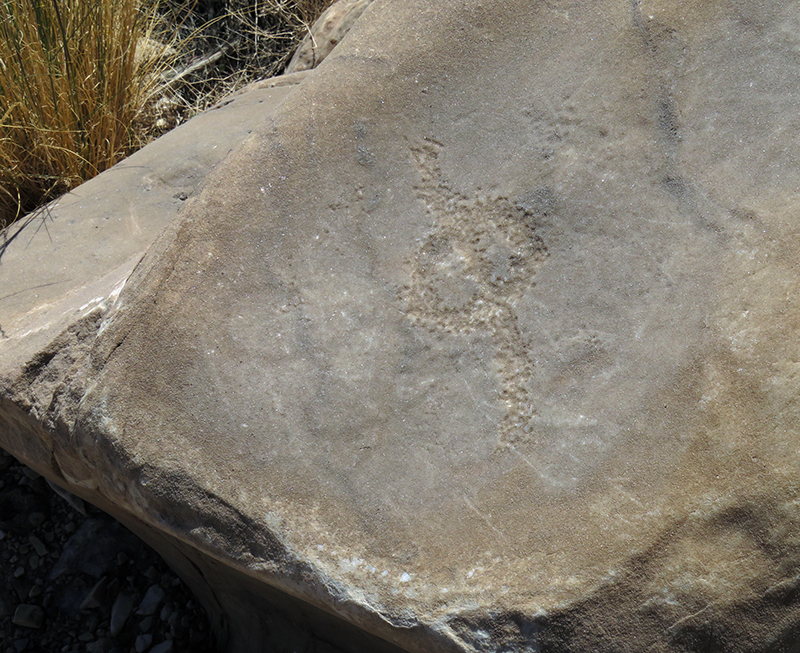 The curvilinear figures and what some recent researchers believe to be astronomical symbols were made 1500 to 4000 years B.P. 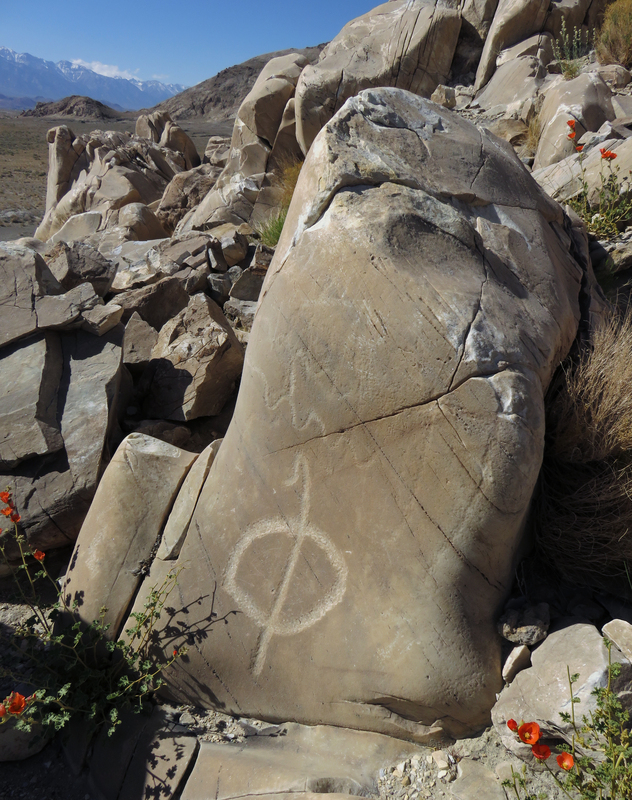 by the Owens Valley Paiute or an earlier culture that preceded them, or both. 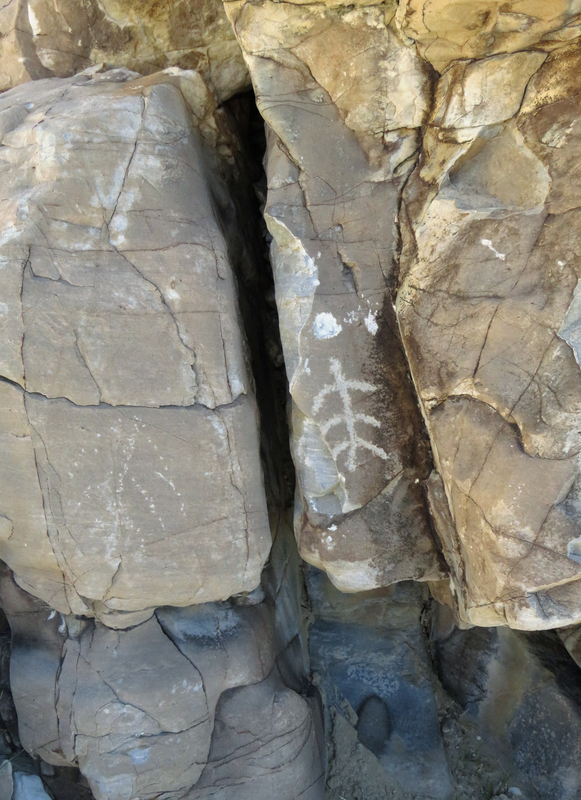 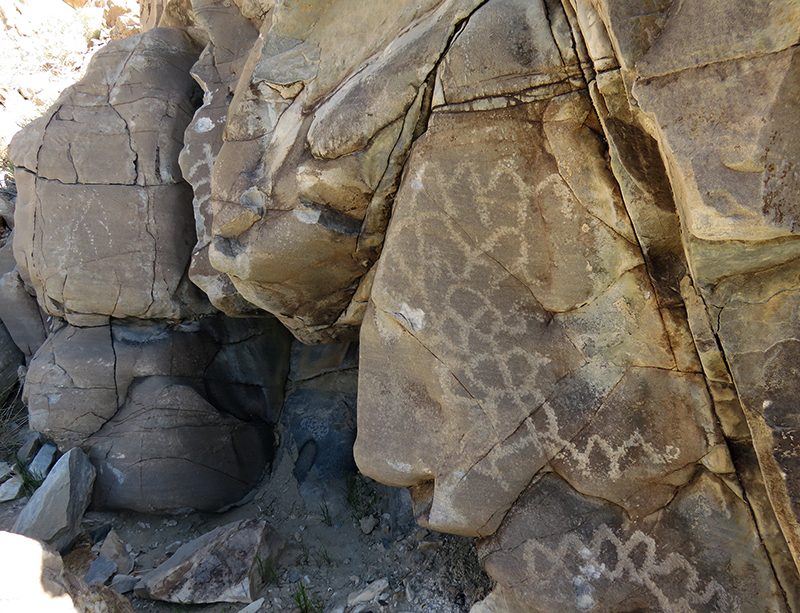 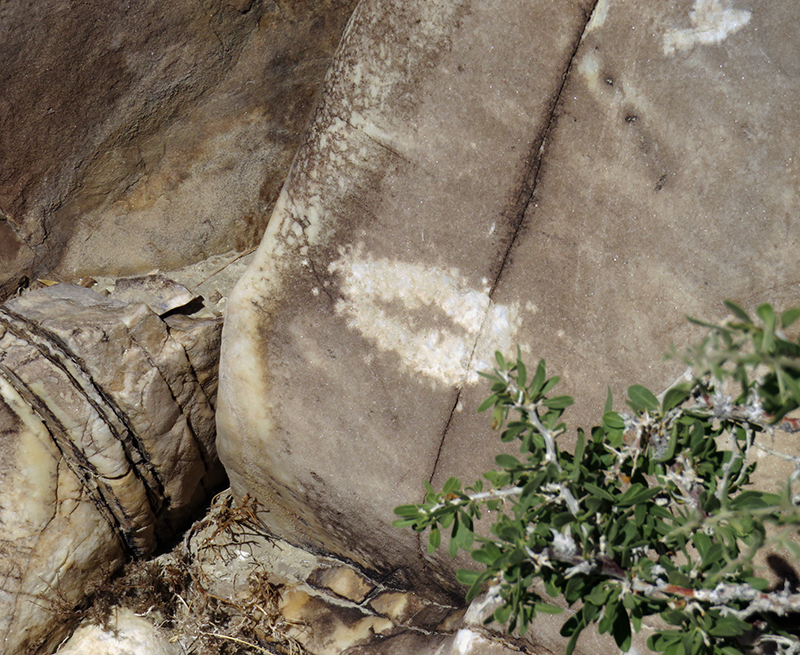 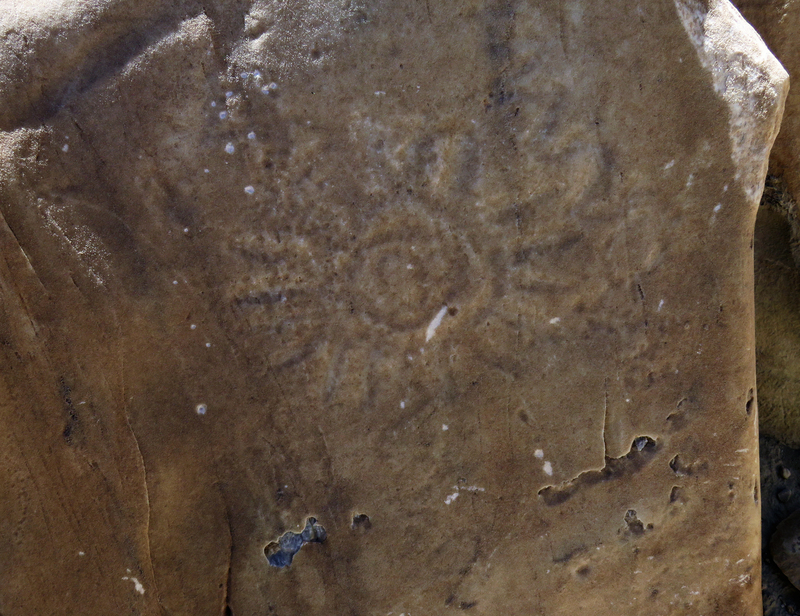 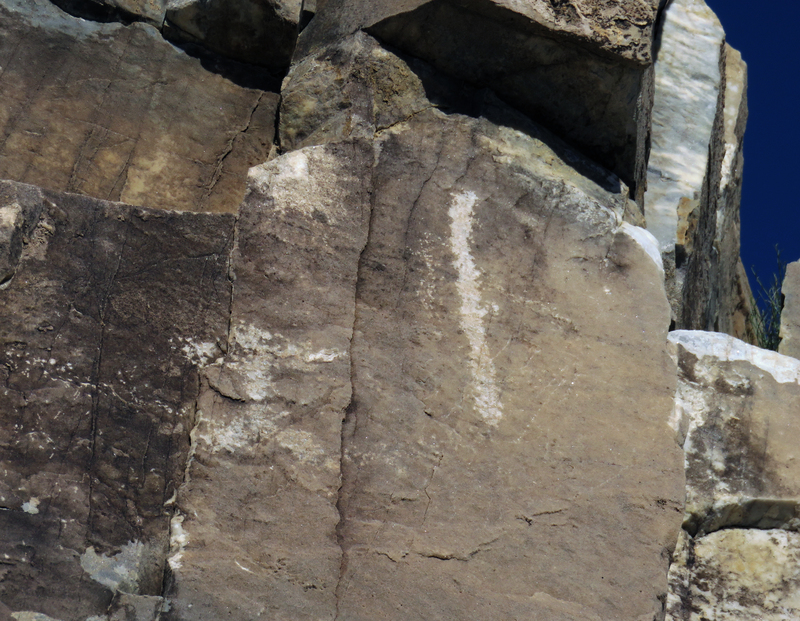 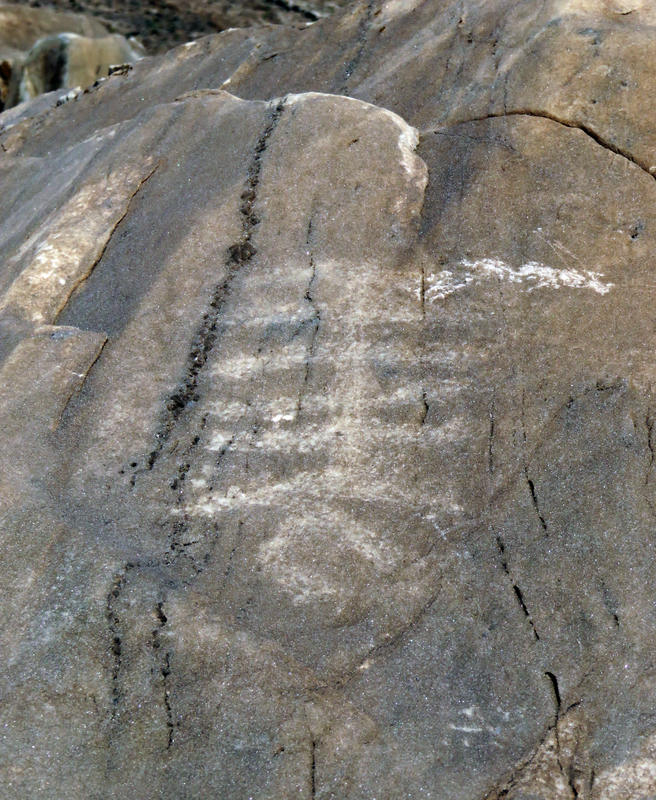 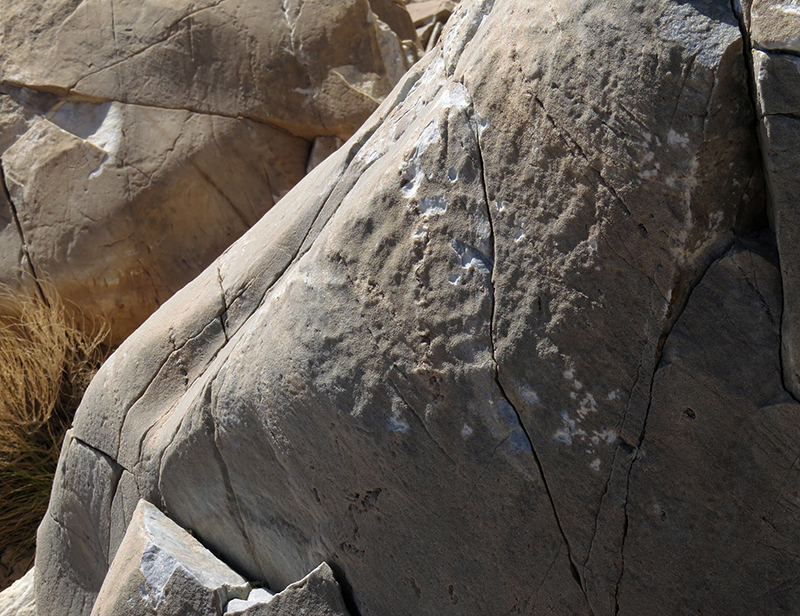 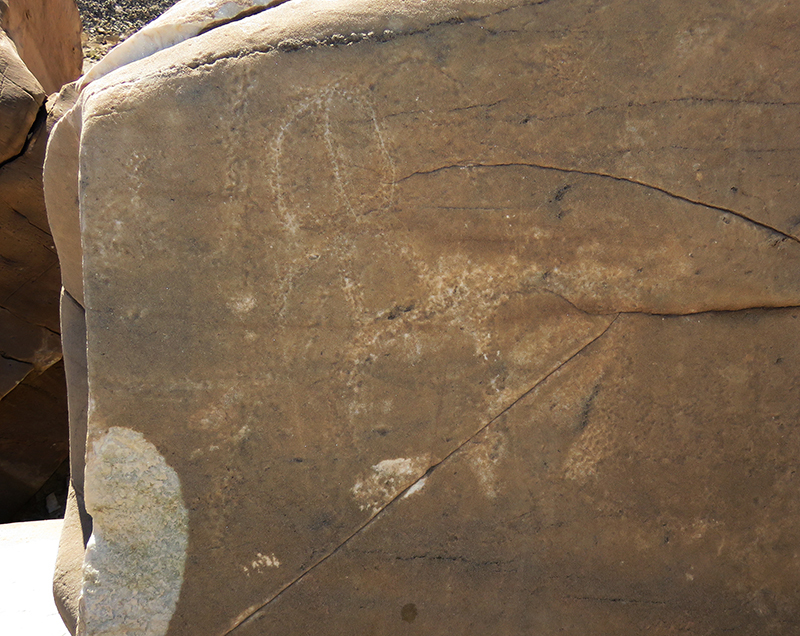 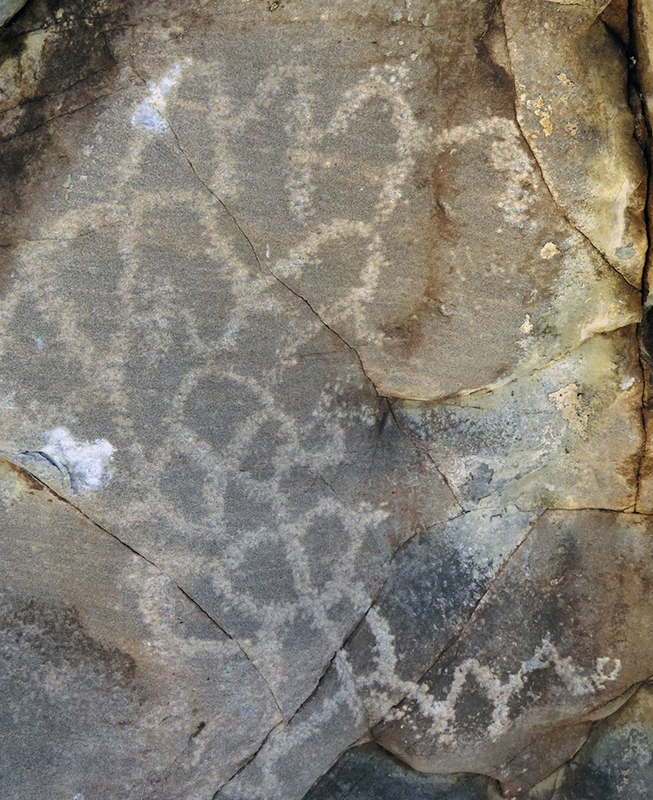 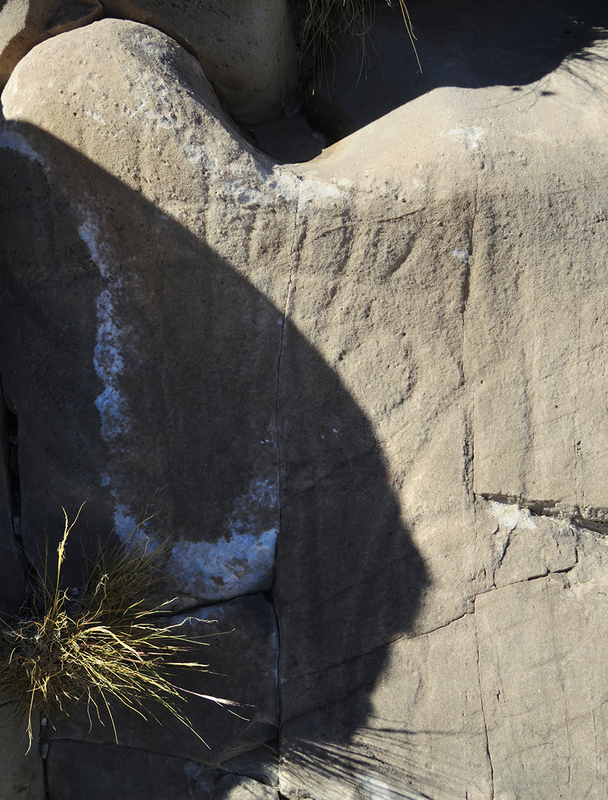 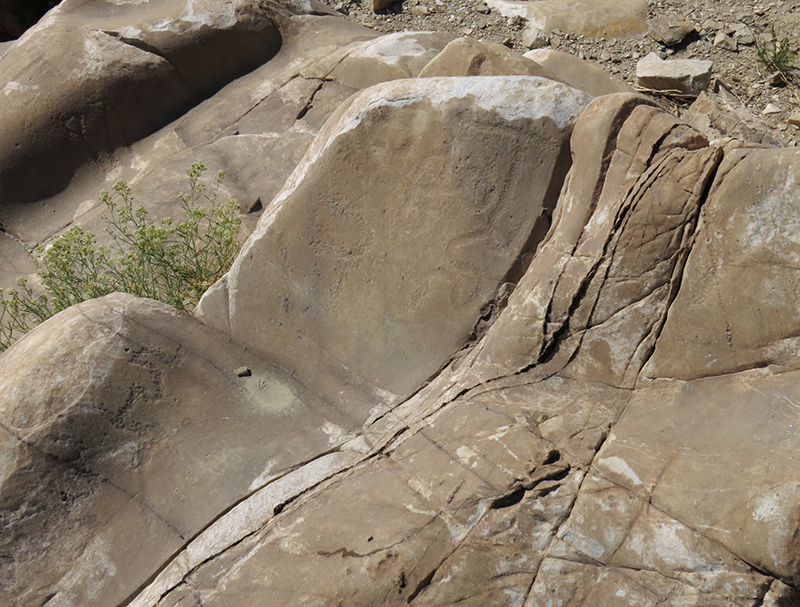 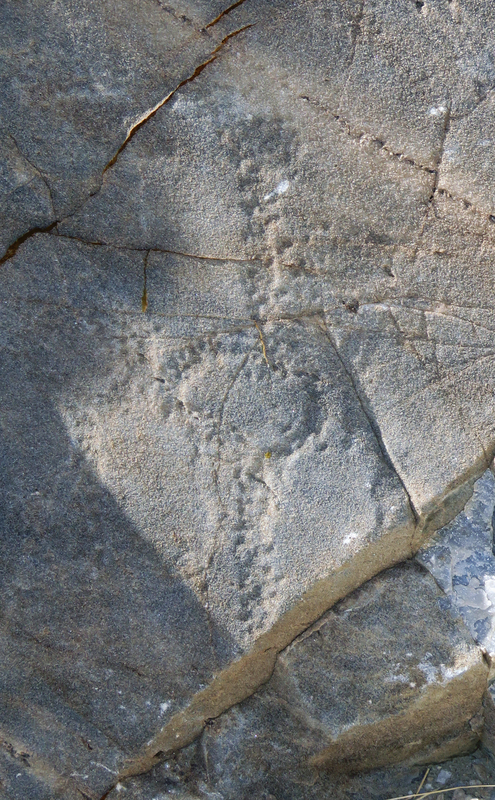 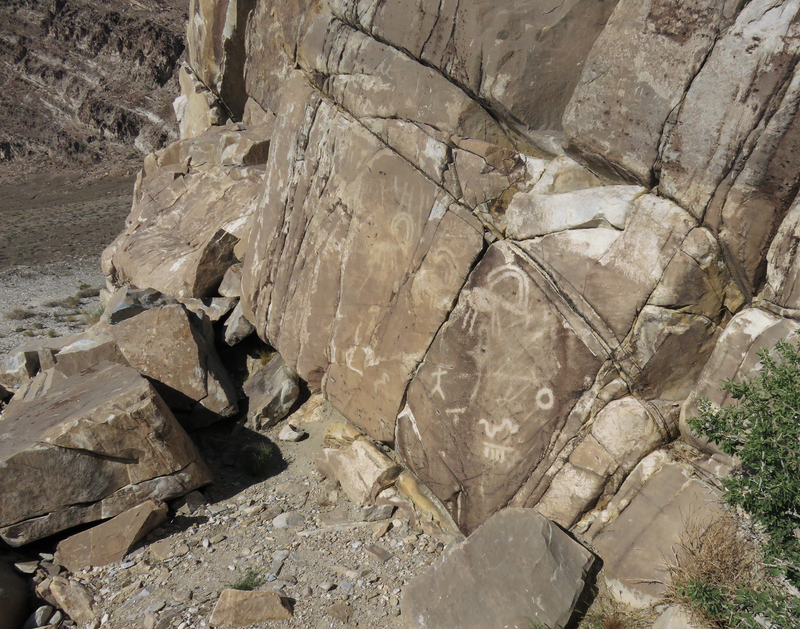 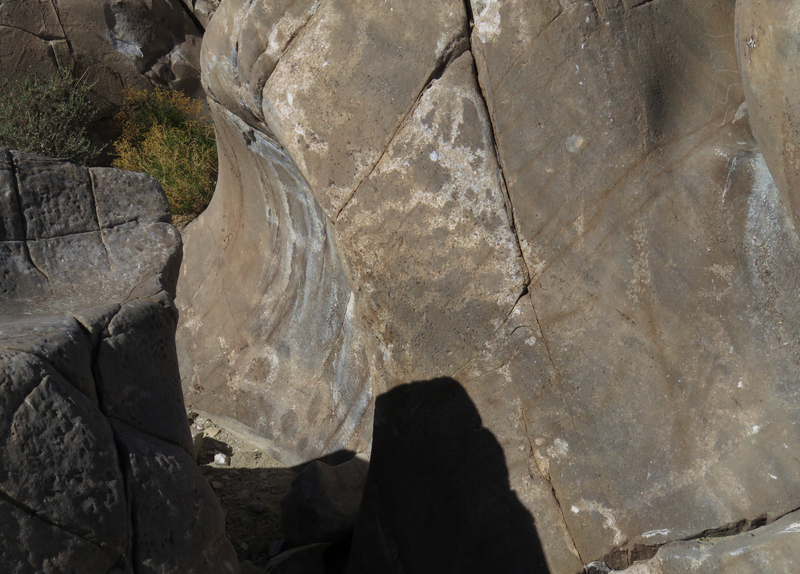 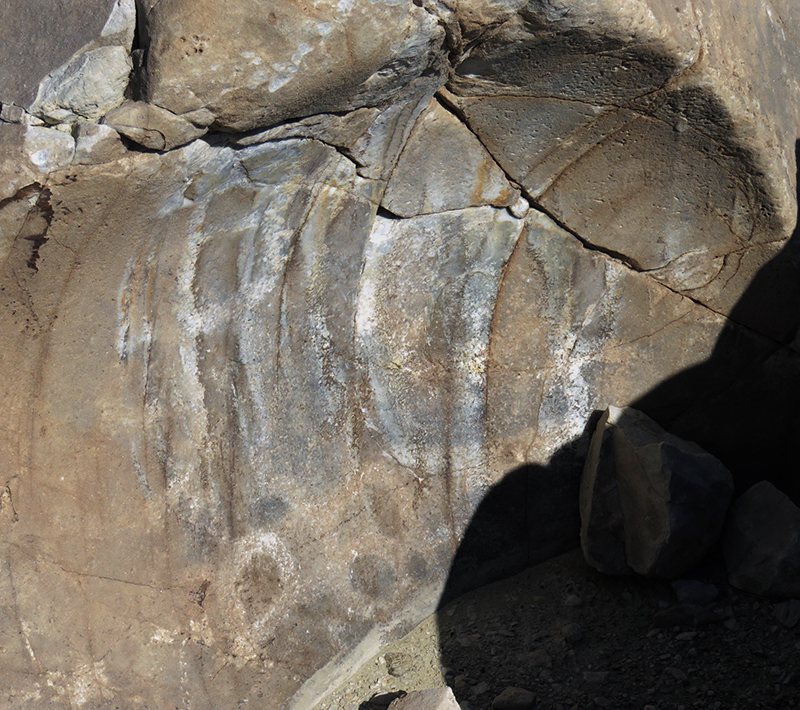 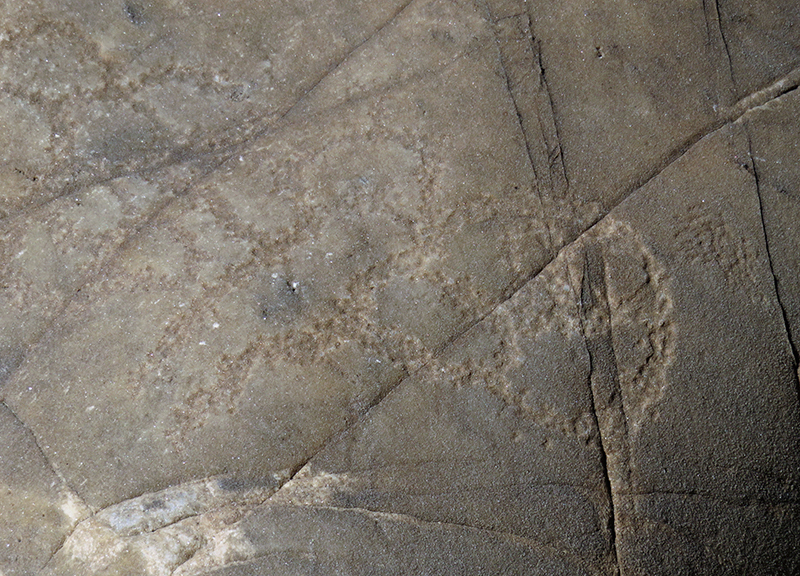 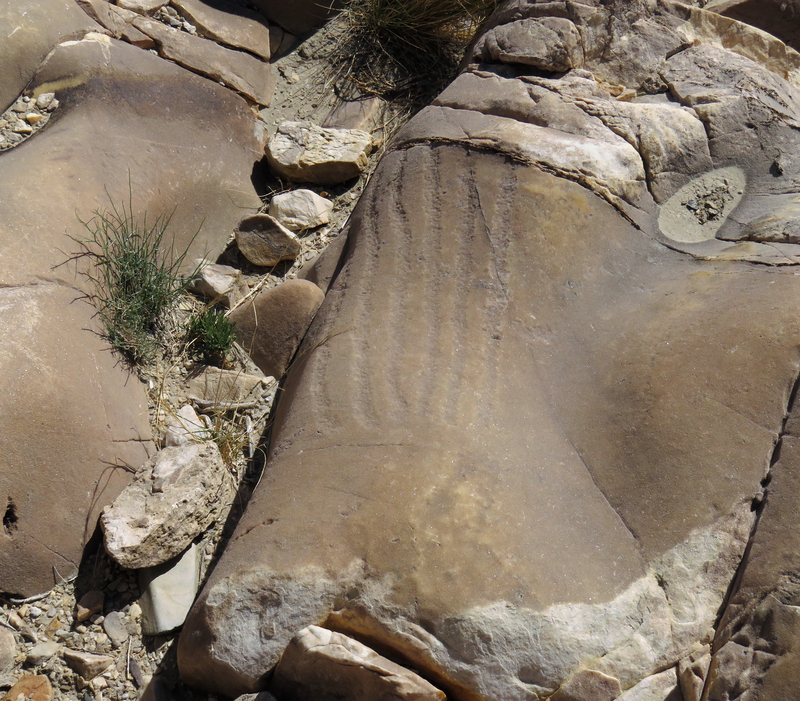 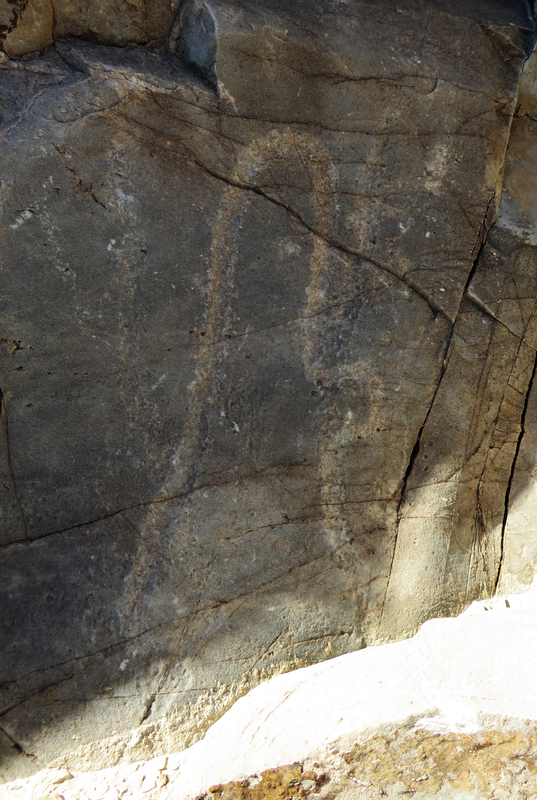 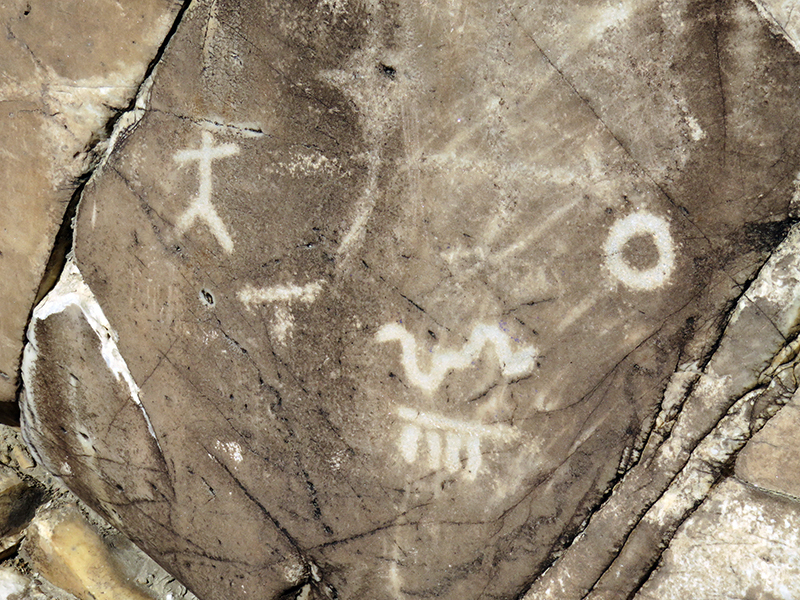 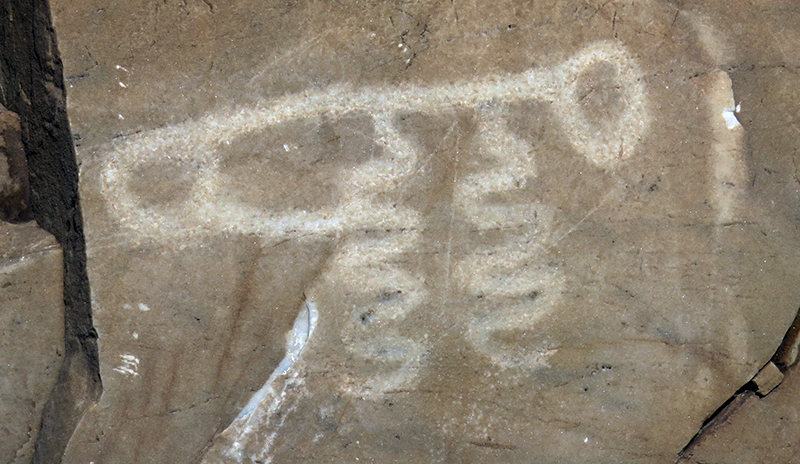 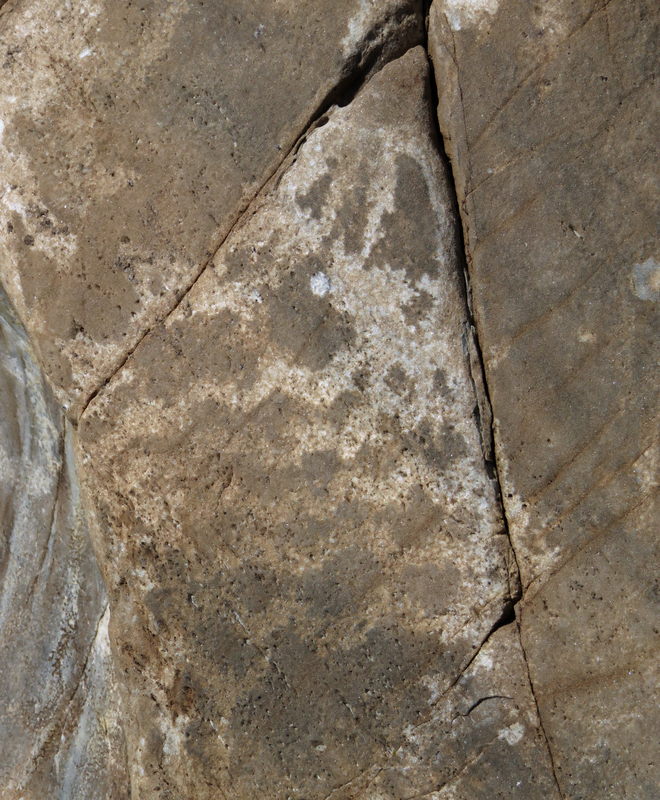 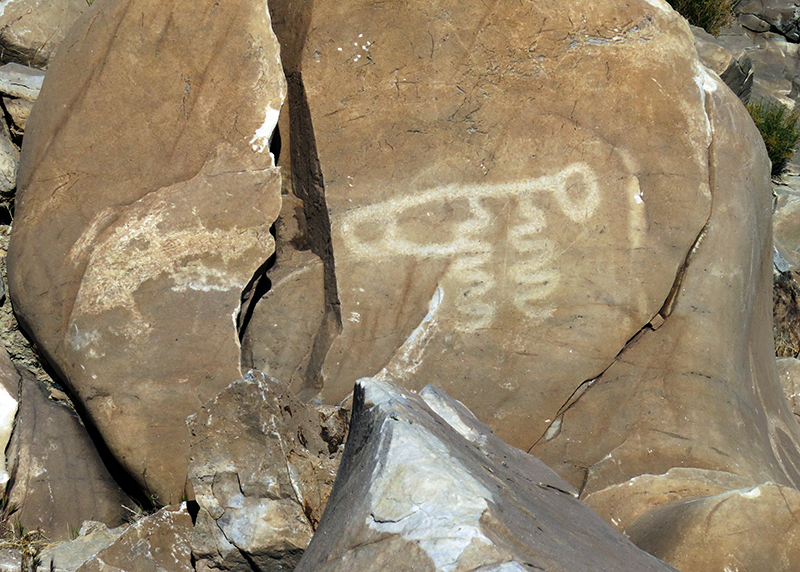 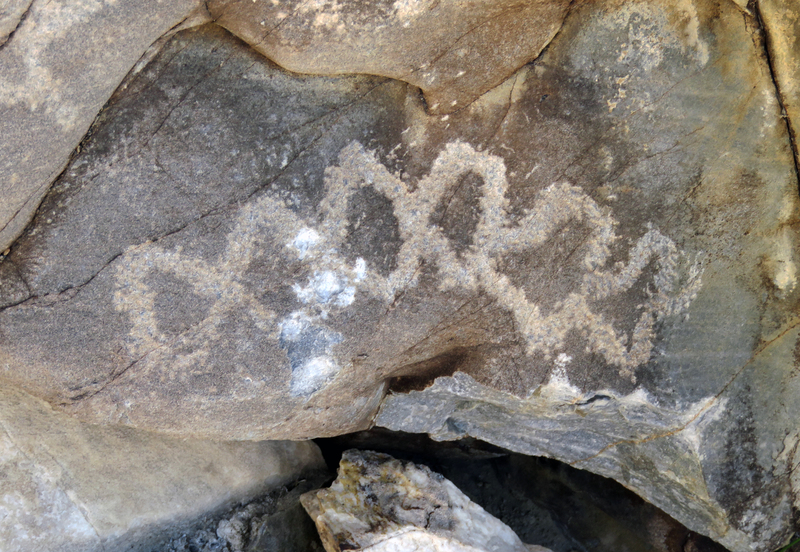 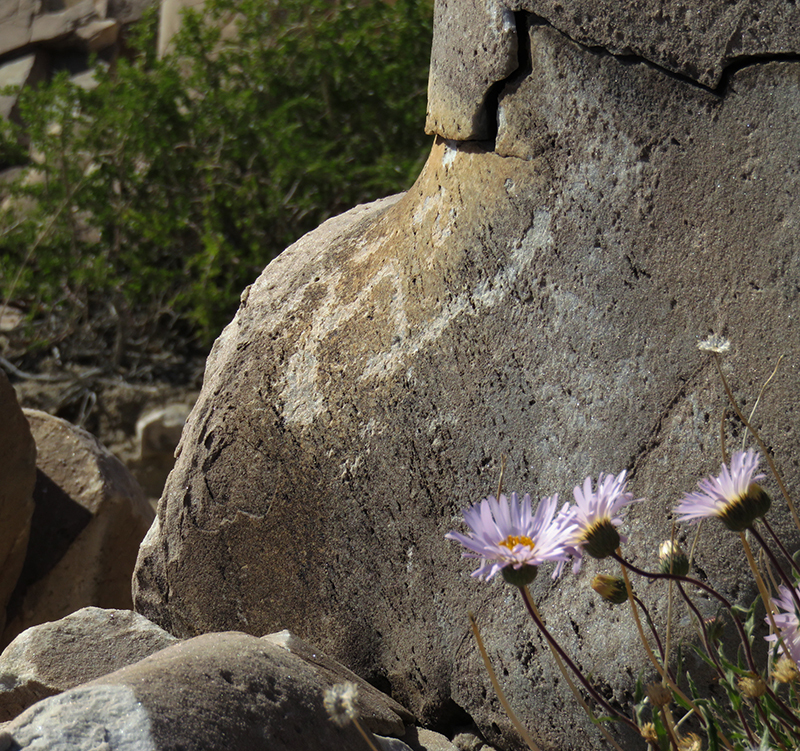 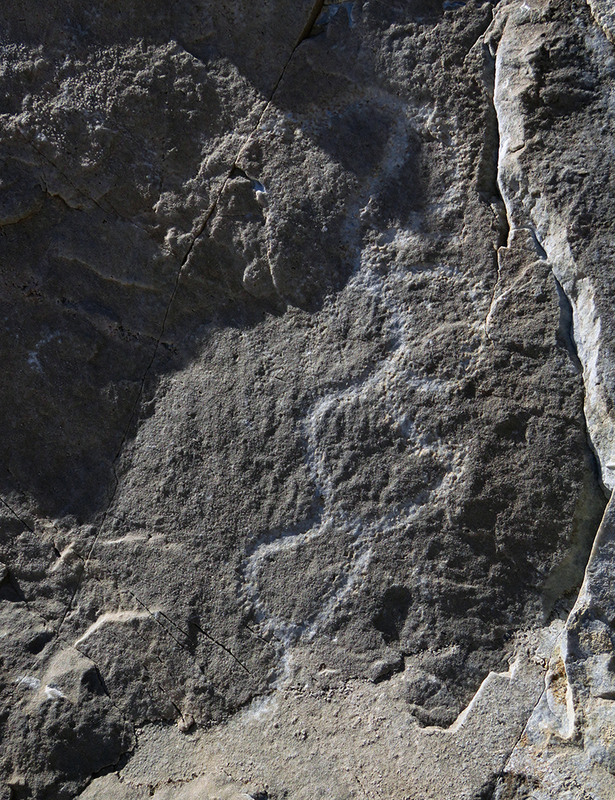 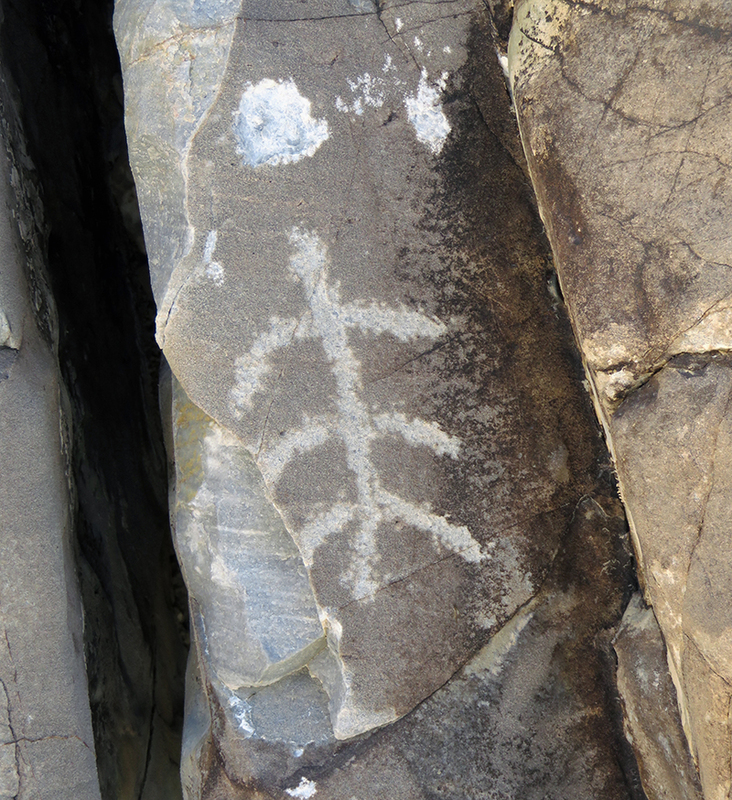 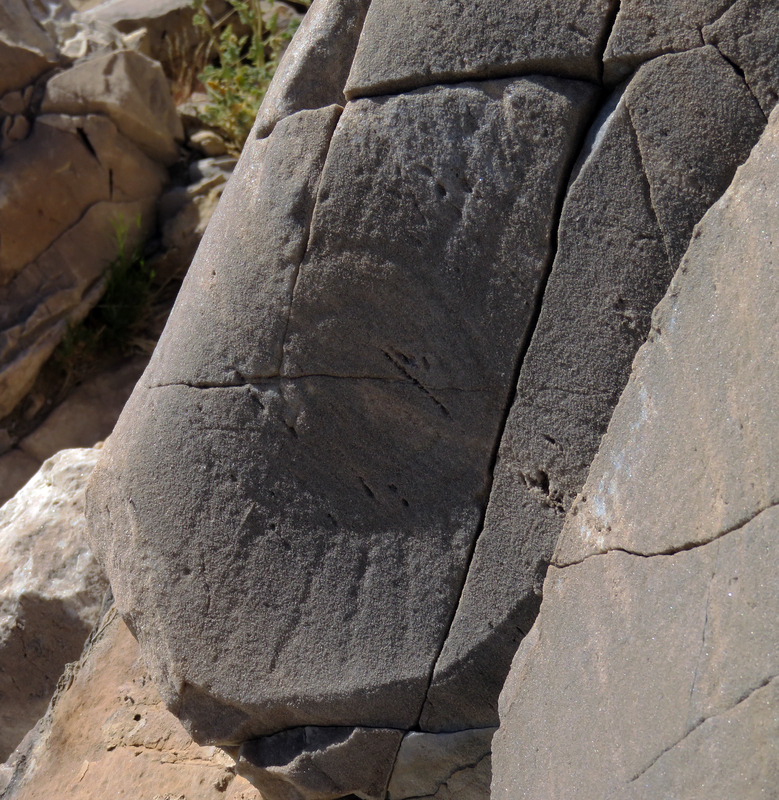 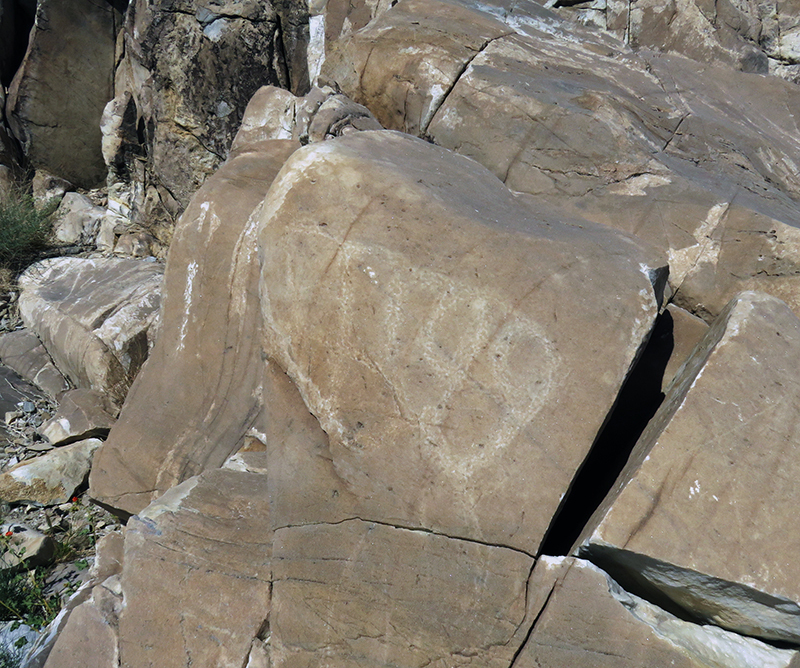 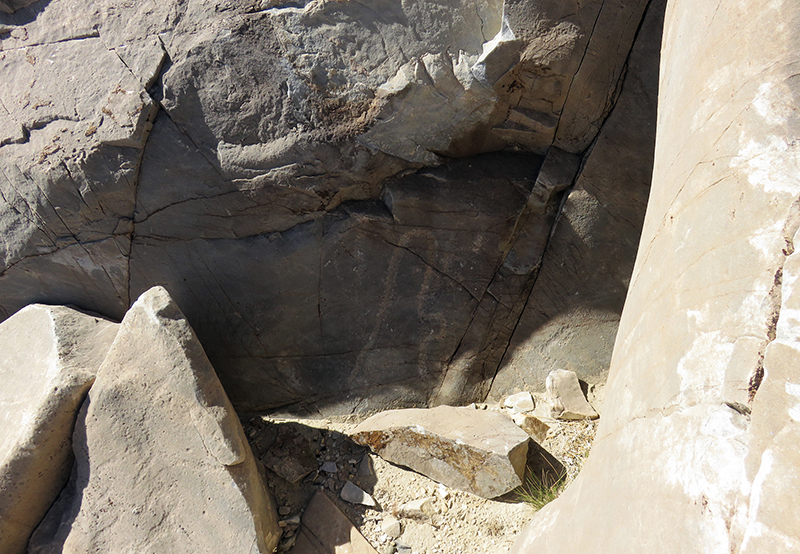 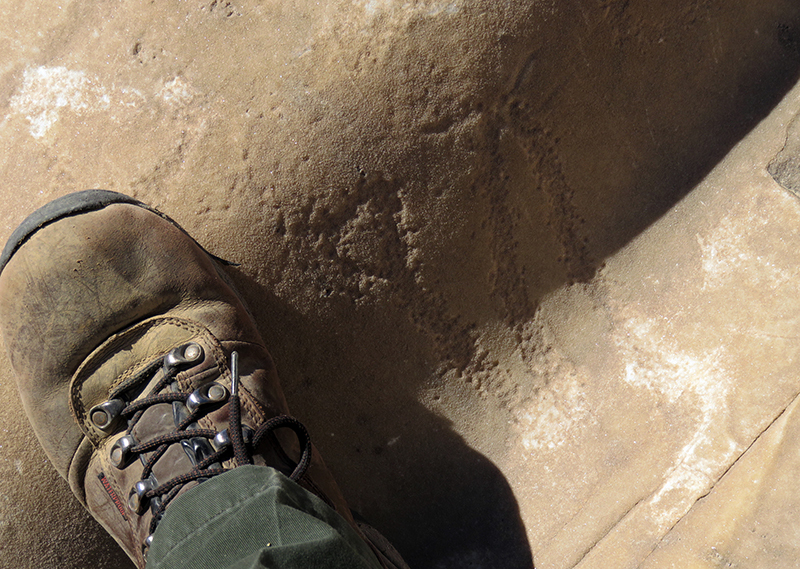 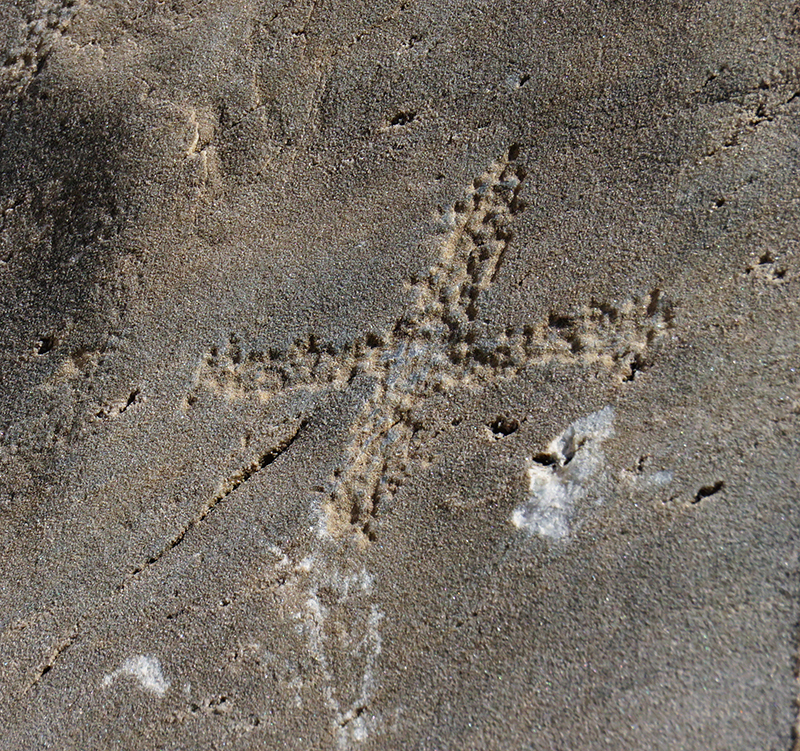 Some markings are clearly older than others; the several suns, the possible calendrical petroglyphs and certain other features are re-coated with desert varnish, a naturally occurring patina rich in manganese and iron oxide, deposited by blowing dust. 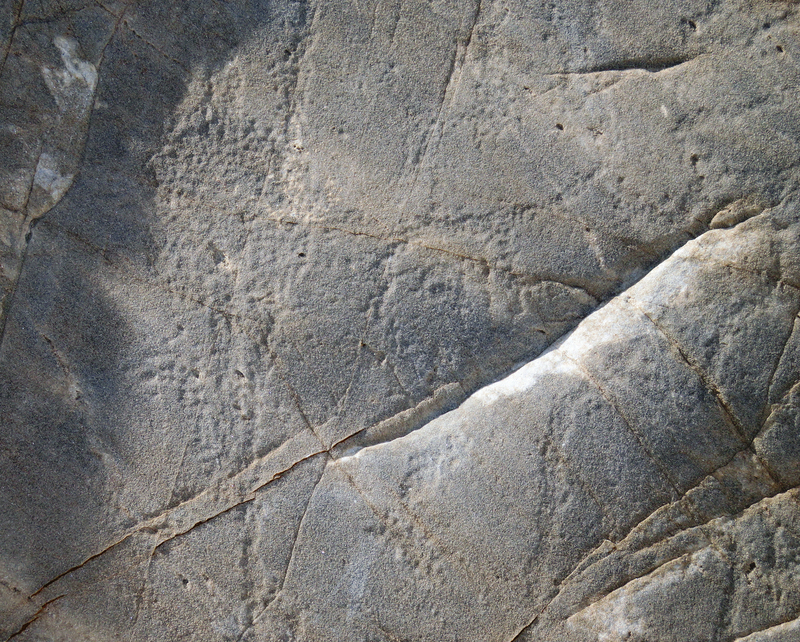 Modern radiocarbon dating established a minimum date of approx. 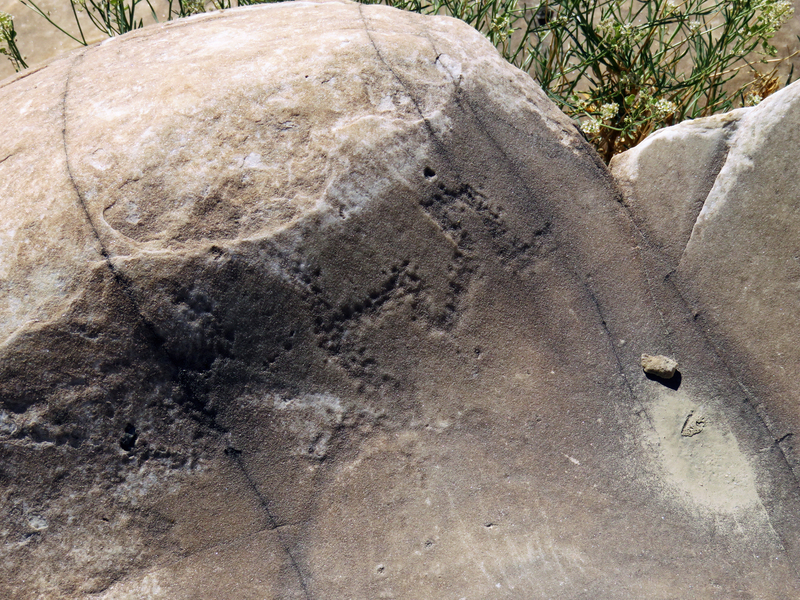 2100 years B.P. for the "equinox calendar," a series of six bars that can be used to predict the time of the equinox, relative to sunset, within 3 hours. 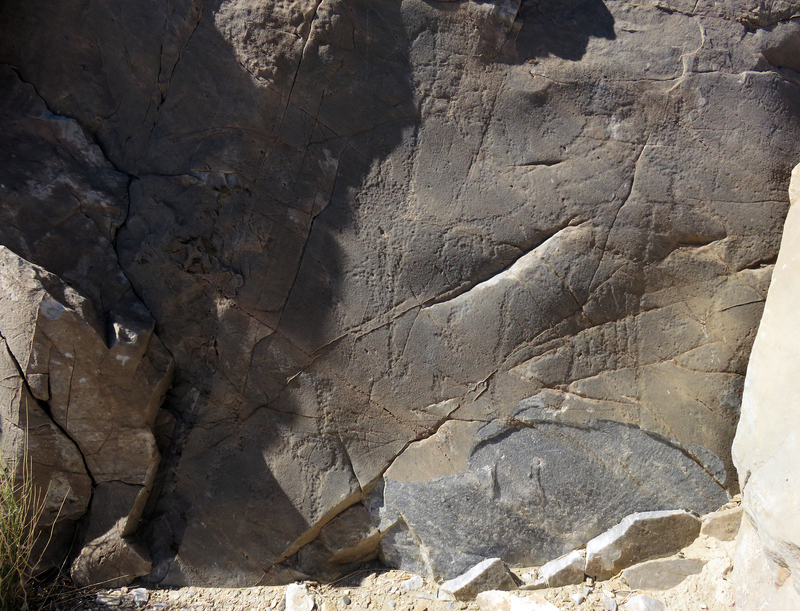 Some of the other recognizable features include atlatls, three bighorn sheep on the main extant panel and a human stick figure. 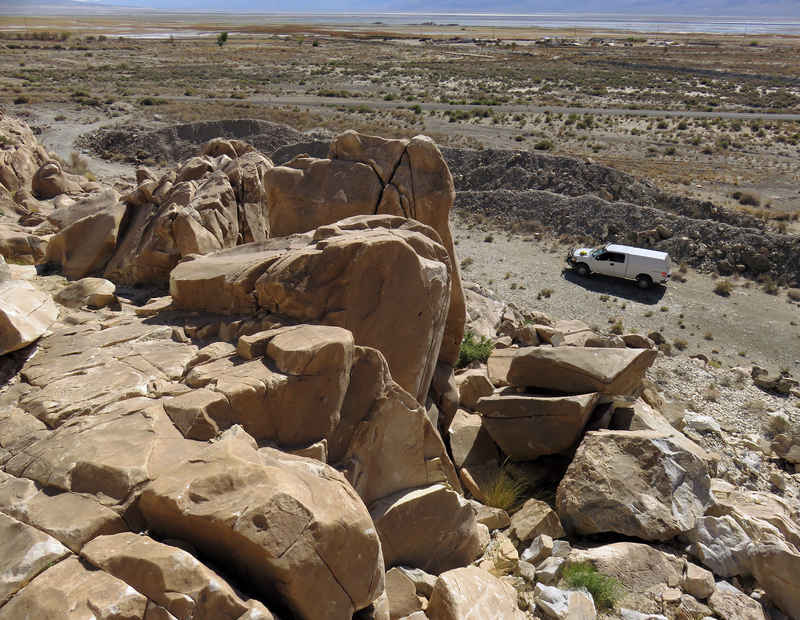 Watch a video showing more of the site here. 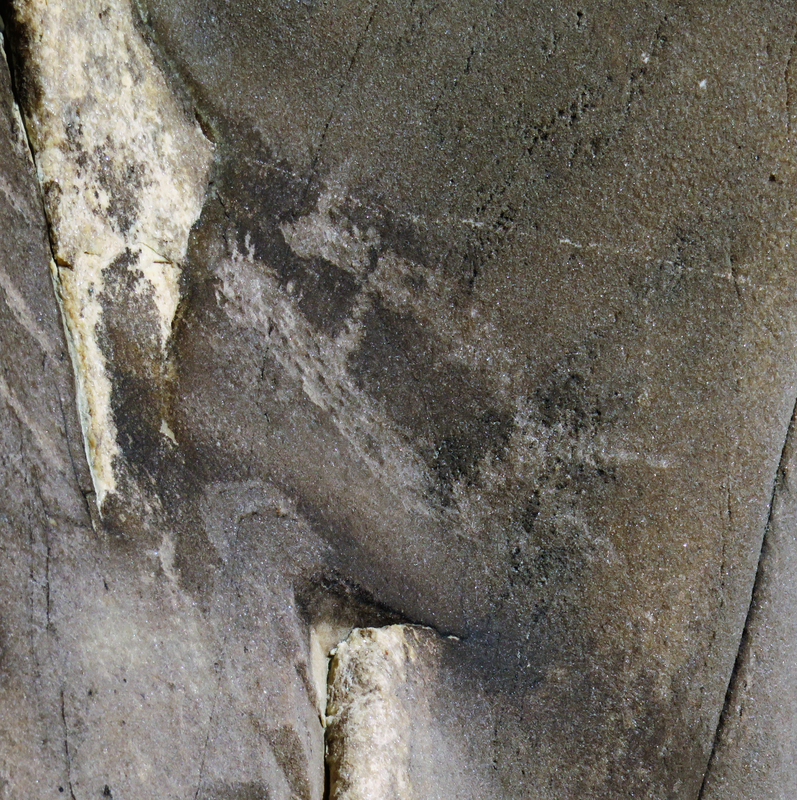 LW2837: 9600 dpi jpegs from original images by Leon Worden, March 27, 2016.